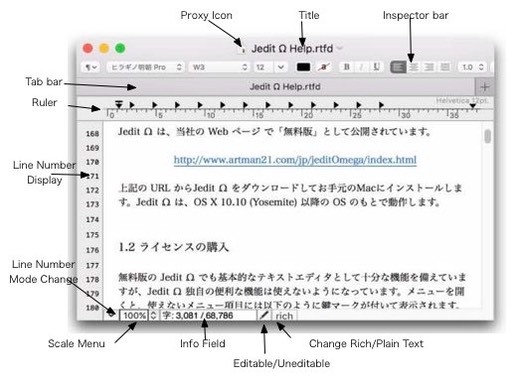 One of the most popular text editor Jedit X has re-born into an entirely new editor Jedit Ω. All functions were reviewed and refined. It supports the latest macOS features such as iCloud, Version Control, Auto Saving, etc. As Jedit X is a 32bit application, macOS10.14 (Mojave) will be the last macOS on which Jedit X can work. 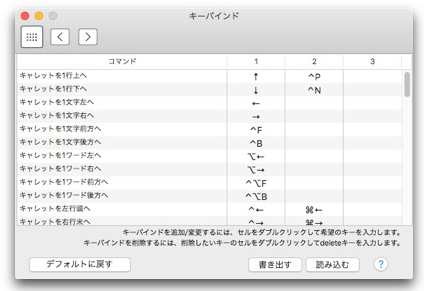 We recommend to upgrade Jedit X to Jedit Ω.
macOS 10.10 (Y0semite) or later. macOS 10.12 (Sierra) or later is recommended. Some functions such as Split Views or Tool bar are not supported on macOS 10.10/10.11. 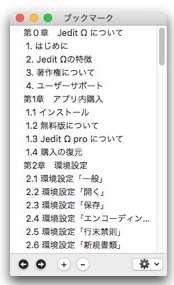 Jedit Ω has free edition and paid pro edition. 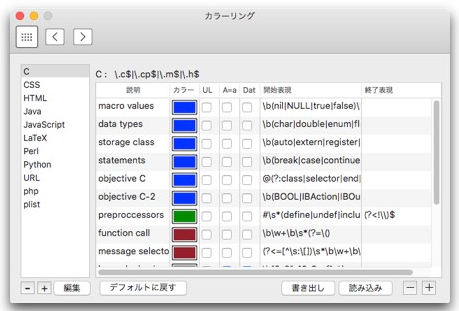 Even free edition of Jedit Ω has enough functions as a basic text editor. Upgrading to the pro edition will make Jedit Ω unique and powerful functions available. Since based on the system standard text engine NSTextView, Jedit Ω supports rich text functions, such as Unicode multilingual support, back tab, center tab, kerning, ligature, superscript, subscript, tables, vertical writing etc. The text formats are compatible to other Cocoa applications. Since besed on the system standard document class NSDocument, You can use the latest system features such as the version control, automatic backup, iCloud, window tabbing, etc. 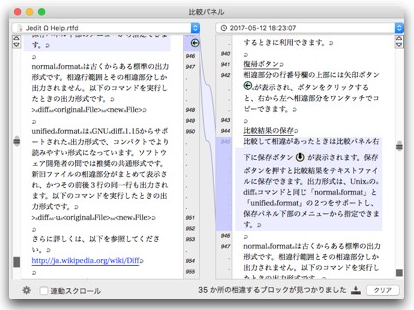 It displays the changes made in Jedit Ω documents. 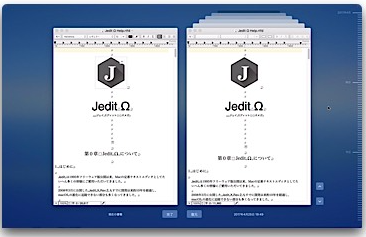 You can compare with past versions you made and any types of documents that can be read with Jedit Ω. You can edit multiple documents in one window. You will not lost windows any more in the narrow screen space. macOS10.12 (Sierra) supports tabbed window by the system. Even in OS 10.10 and 10,11, Jedit Ω supports the original tabbed window system. You can split the editing window into two views horizontally or vertically (macOS 10.12 or later). You can edit and refer the two parts of the document simultaneously. You can read the plain text documents, RTF documents, RTFD documents, MS Word documents, OpenDocument documents, Jedit4.0 documents and SimpleText documents. Jedit Ω supports saving the plain text documents, RTF documents, MS Word documents, OpenDocument documents. In addition to the simple find/replace function (free version), Jedit Ω pro has the powerful find/replace functions that include regular expression, faster Replace All, a handy find and replace history, batch find/replace operations for multiple files and etc. By using bookmarks that can also define a hierarchical structure, you can easily create a headline or table of contents of a document. 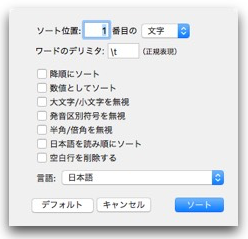 If you prepare the extraction rules that generates the smart indexes in Preferences Smart Index, an index menu is displayed at the main menu and you can jump to the target place with one action. Supports syntax coloring for HTML or other programming languages. You can add and edit coloring rules freely. Also supports automatic input completion that enable you to enter long words with only the first few letters. You can customize the completion dictionaries freely. You can define the menu shortcuts and key commands freely at the Preferences. 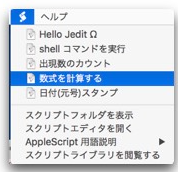 Jedit Ω AppleScripts supports most of operations for text processing. 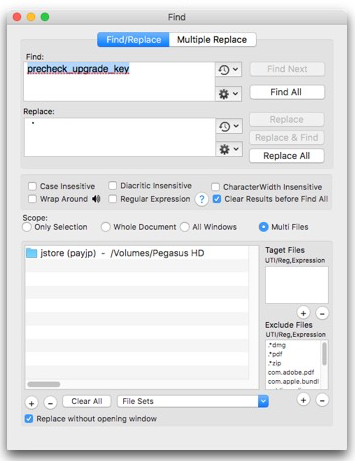 You can describe frequently used operations or cumbersome operations with AppleScripts and register them as your own menu items in Script menu.